The extent of my knowledge about the Mid-autumn Festival is, admittedly, limited. What I do know is that a glorious cake, known as the mooncake, is a traditional part of the celebration and they’re available, always beautifully packaged, in Chinese supermarkets around this time of year. Whatever else the Festival entails, mooncakes have to be the best bit. Surely. 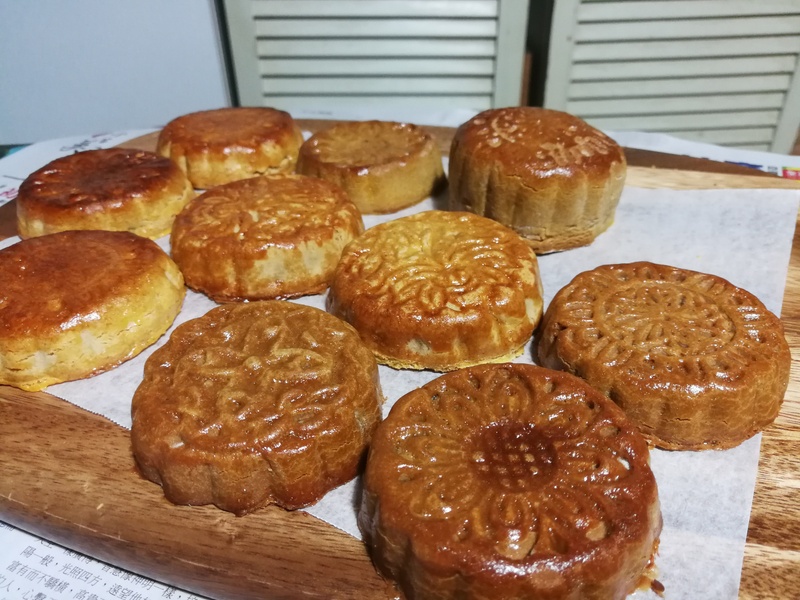 These Chinese cakes are characterised by a stretchy, imprinted crust and a centre made of a dense lotus or bean paste and sometimes whole salted egg yolks. Very different in taste and texture to the kind of cakes we’re used to in Oz, but all the same, for those with a sweet tooth who aren’t opposed to flavours that tend to the Eastern palate, these are super easy to polish off. Perhaps I’d treat myself to more of them, if they weren’t so darned expensive. Best blip on my bargain radar is $8 for a single 10cm cake. And upwards seems to be norm at most places. Chinese grocers are making a killing. With the Festival starting in four days, this was a good bit of motivation to try baking my own. Dosh-saving aside, though, I have been itching to make these for some time. Just because. 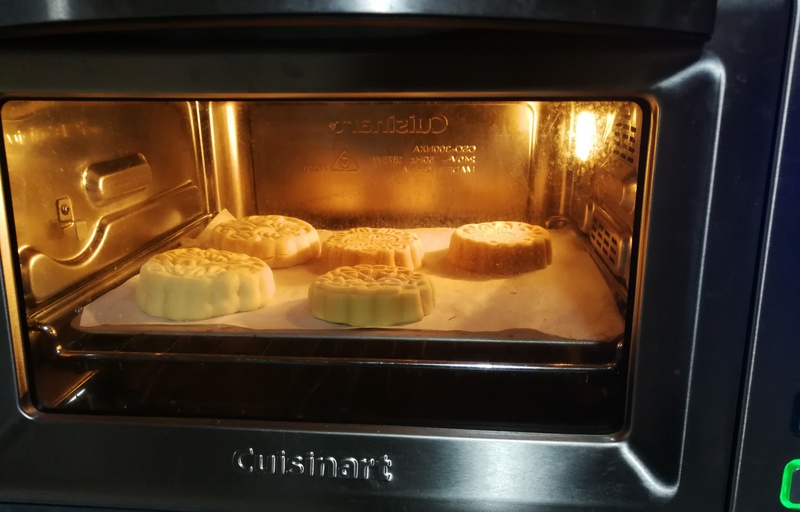 Here’s my attempt at lotus mooncakes. One small step for the steam oven, one giant heap for mooncake time. I took one to try just out of the oven and I am pretty pleased. I’ll leave the rest to sit for 2-3 days, as this will apparently allow the crust to take on a stretchy quality. Taste verdict Moreish. Out with tradition: no festival needed to enjoy these bad boys.